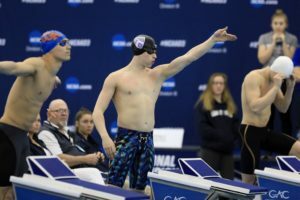 For those unfamiliar with swimming terminology, the concept of “Ups” and “Downs” is a good way to track which teams performed best at prelims. In prelims at the NCAA National Championships, swimmers and divers qualify for one of two finals heats: the top 8 finishers make the A final, and places 9 through 16, the B final. 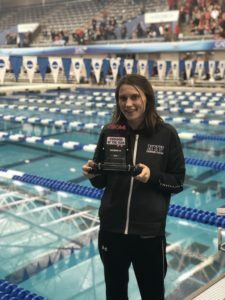 In finals, swimmers are locked into their respective final, meaning a swimmer in the B heat (spots 9-16) can only place as high as 9th or as low as 16th, even if they put up the fastest or slowest time, or score the most diving points, of any heat in the final. 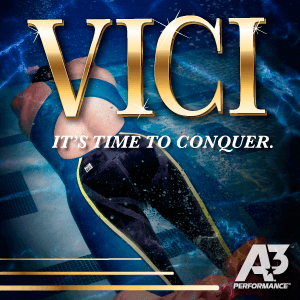 With that in mind, we’ll be tracking “Ups,” and “Downs” after each prelims session. 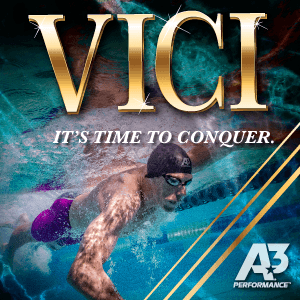 “Up” refers to swimmers in the A final, “Down” to swimmers in the B final. 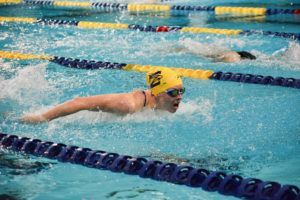 Emory appears to have passed Kenyon in the runner-up position on Saturday morning. While the Eagles have slowly and steadily outperformed their psych sheet seedings all weekend, their +20 points in prelims on Day 4 put them 15.5 ahead of the Lords, who underperformed by -15 points. 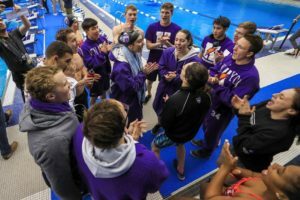 Kenyon could still eke out a second-place team finish if everyone in lanes 7 and 8 outperforms tonight, and if their milers outperform Emory’s. 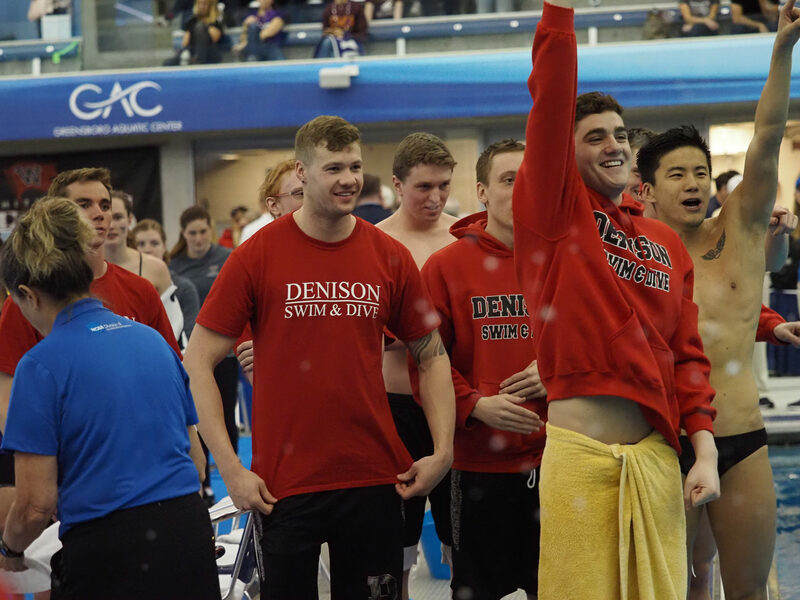 Denison, meanwhile, is in no danger of repeating their Division III title in the men’s meet. The Big Red will have 4 A finalists and 3 B finalists tonight and are expected to win by well over 100 points. 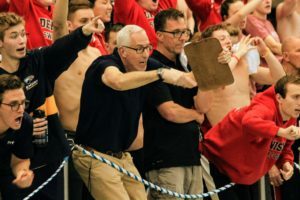 Coast Guard (+17.5), Wash U (+15) and Rowan (+11.5) had strong mornings, while Amherst (-14) and Stevens (-12) joined Kenyon in negative territory.